Caught in the winds of change, most people feel ill-at-ease, insecure, and sometimes even scared. Stephen Hawking, visionary physicist who passed away a few weeks ago, was well known for his theories on black holes and many universe’s mysteries. But his wisdom reaches far beyond the science and academic world, leaving us with unparalleled legacy and tracks of reflexion. “Intelligence is the ability to adapt to change” – he used to say. But how to ignite your change management skills? There may not be a one-size-fits-all solution, but there is at least a formula that proves to be a good starting point to better understand, accept and deal with change. So, let’s dive into the realm of change. Successfully embracing change will require you to overcome your resistance to change, challenging your inner beliefs and assumptions. The ‘Formula of Change’ developed by Gleicher enables to assess one’s capacity for personal or professional change. 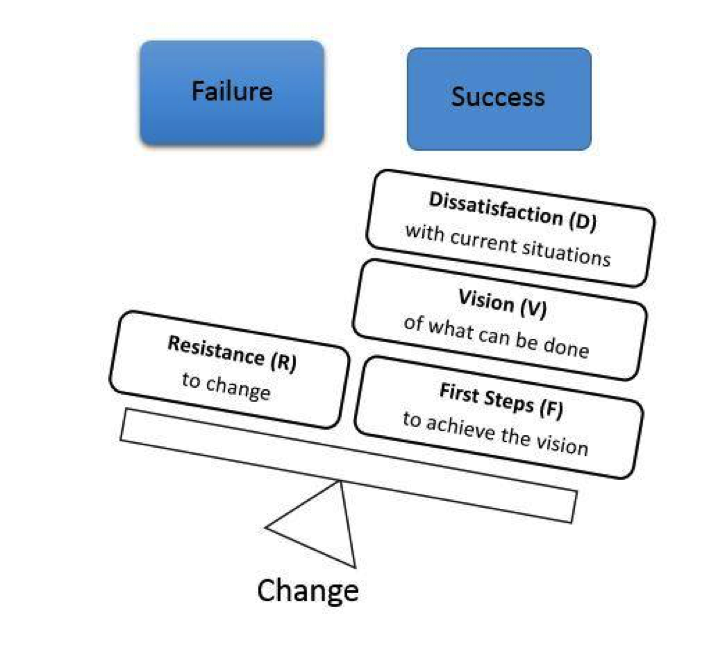 The formula suggests that there are three variables of change: Dissatisfaction (D), Vision (V), and First Steps (F), R being the resistance to change and ∆ (delta) representing the result, aka the change. According to the formula, the combination of dissatisfaction with the current situation, vision for the future and the possibility to take first concrete steps to achieve the vision must be stronger than the resistance felt in order for successful change to occur. Since the formula involves a multiplication, if one of the three variables is too low, the product of the three variables will inevitably be low too, and resistance will outweigh change. So, in order to successfully accept and deal with change, you need to capitalise on these three variables. 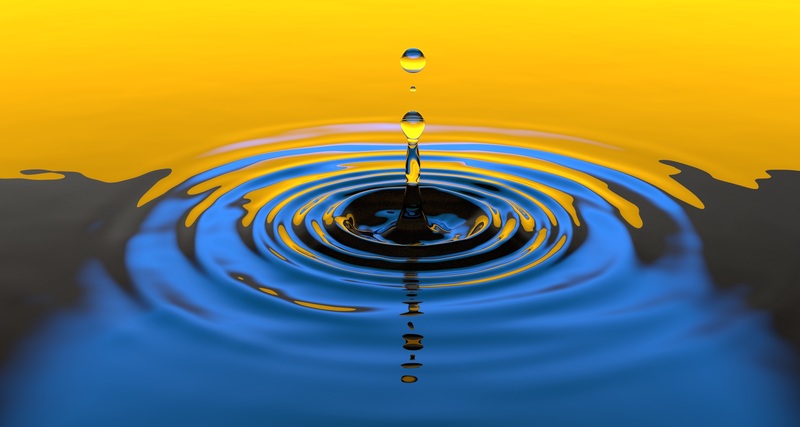 Handling your dissatisfaction towards change: why changing? There must be a strong dissatisfaction at the very root to feel the urge to get out of your comfort zone and have a strong willingness and more importantly readiness to change. Yet, you must be clear with your very motivations for changing. To do so, you can go through the “5 Whys questions” exercise. Remember when you were a kid, and kept – annoyingly, sorry! – asking adults why things were the way they are? This exercise follows the same process. Start by asking yourself this simple question “Why do I want (so badly) to change“? Then, after a first answer crosses your mind, keep asking yourself repeatedly the Why questions. As you go through this questioning process, you will give more in-depth thoughts of your motivations until you eventually find out the true reason behind your willingness to change. Of course, needless to say that in this process, “Because I said so” or “Why not?” do not qualify as proper answers. You really need to engage in a true challenging inner conversation with yourself. Clearing your vision for change: what to change? Then set SMART objectives pertaining to these. Be clear and honest with yourself. Planning to get started with change: how to change? What are the first concrete steps that can be taken to achieve the vision you set? Backward planning is a useful tool to keep on with a positive mindset towards change, starting with where you want to get. With your end vision in sight, identify all steps and actions that need to be taken to get there from where you are now. Once you are able to overcome your resistance to change and manage to gradually embrace it, adopt a learning mindset when caught in situations of change. 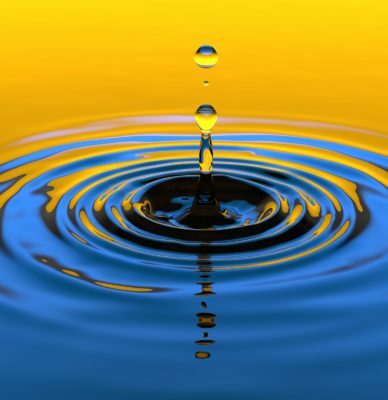 By constantly assessing your response to changing situations, you will gradually be able to become more resilient to changes and eventually become an ambassador of change. As John F. Kennedy used to say: “Change is the law of life“. So, as change is inevitable, better be the wings of change than get caught in the wind of change.